Since 1964, Kérastase has represented the finest in luxury haircare and we are proud to offer Kérastase haircare, styling products and rituals in each of our salons. We have designated Kérastase Specialists, who have been specifically educated to provide a precise, professional diagnosis, which leads to a tailored haircare programme for each client. Designed to protect your hair against frizz and humidity for up to 72 hours, the Kérastase Discipline collection creates an even surface and a hydrophobic layer which protects the hair from humidity. Your locks will be left with natural movement, a soft texture and a frizz-free finish. The blow-dry perfector for intense protection and brilliant shine, the new 'Thermiques' are proven to speed up your blow-dry by half the time and research shows users of the Thermique Cremes experience up to 87% less breakage. Designed for fine or thinning hair, the Kérastase Densifique collection will leave your hair feeling denser and more resistant to damage. Enriched with Stemoxydine®, which is a state-of-the-art densifying molecule, it also contains hyaluronic acid which plumps up the hair fibre for a fullerappearance with added bounce. Hollywood glam with stand-out softness and shine. 1. Begin with a smooth blow dry using Keratine Thermique and a paddle brush. 2. On the top of your head , elevate and apply Powder Bluff to and add volume. 3. Create a clean, deep side part to separate the top from the bottom. 4. Spray each of the remaining 3 sections with Laque Couture from top to bottom. Curl each section from the ends to the scalp. Secure in line with the top of your cheekbone. 5.On the top, curl in the same motion and secure just above the previous curls. Let cool to set, then remove the clips. 6. Spray Laque Couture directly onto a flat, natural bristle brush and brush through with tension, push waves into place using the end of the brush to sculpt and define. 7. Finish with a fine mist of Gloss Appeal or added shine. For the ultimate in luxurious pampering and expert style, look no further than the Kérastase Couture Styling Range. Fronted by Kate Moss, the collection provides long-lasting fusional hold and absolute freedom of movement for the most glamorous and sophisticated styling. A volumising mousse that envelopes the fibre to thicken strands for all-over volume. Looking for immediate body, volume and grip? Create either structured or tousled tresses with Volume In Powder, the texturising spray powder with strong hold. The Kérastase Couture Styling collection is designed to ensure infallible hold and movement that is both sensual and lasting. 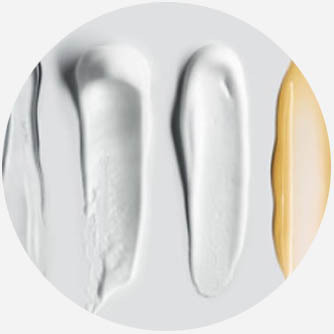 Breaking away from traditional styling formulations that create rigid effects, unflattering artificial finishes with a heavy, sometimes sticky product feel, this new technology is delivered in a variety of surprising skincare-inspired textures featuring elegant signature fine fragrances.